At Fashion Week in NYC this past February, pastels were a HUGE hit. 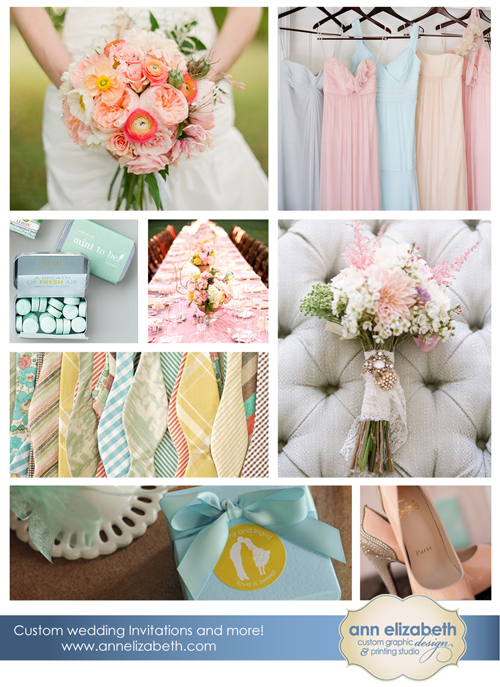 We are super excited about this, and can’t wait to bring you today’s post: Pastel Perfection. We love the softness of pastels. They’re the perfect statement to make, especially for the brides who are looking for a subdued, feminine feel to their wedding. Can’t get enough of this look! Like what you see? Feel free to share this inspiration board… Pin it, Tweet it, Post it on Facebook or your own blog!